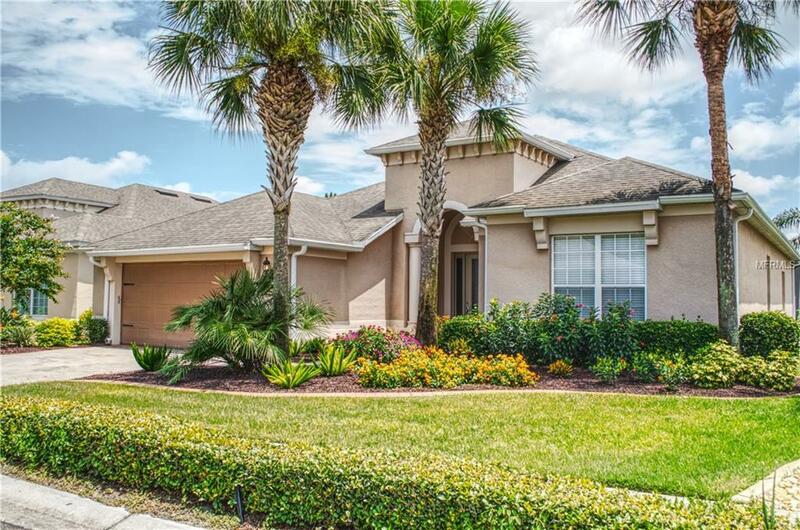 Get ready to drop your bags and begin enjoying this turn-key gem located in Del Webb Orlando. This exquisitely decorated Viscaya model has amazing lake views from the large enclosed back porch with a heated salt-water pool and fire pit. The home features three bedrooms, plus a den with a queen pull-out couch, and two full baths. The well-equipped kitchen, dining room, and great room with high ceilings and upgraded wood flooring are great for entertaining. Take the included golf cart down to the clubhouse and enjoy indoor and outdoor pools, a workout facility, tennis courts, pickleball courts, golfing and many more amenities and activities in this popular 55 + community. You have found Florida living at its best at 148 Del Sol Avenue. Additional Lease Restrictions Must Submit Lease To Hoa For Approval. One Tenant Must Be At Least 55 Yrs. Old. Listing provided courtesy of Ridge Realty Group Llc.